Sixteen children (and their parents!) 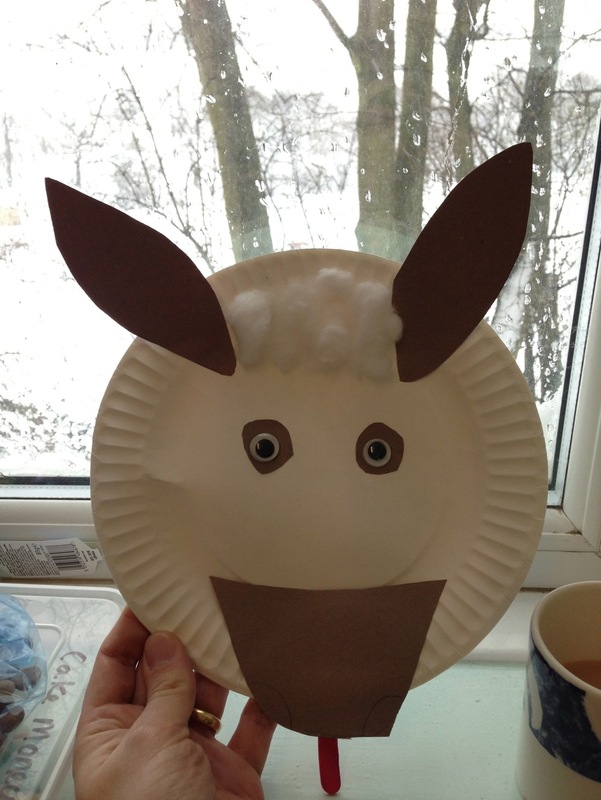 braved the unseasonable snow drifts and dodgy driving conditions to enjoy the latest Childrens’ Activity Morning. 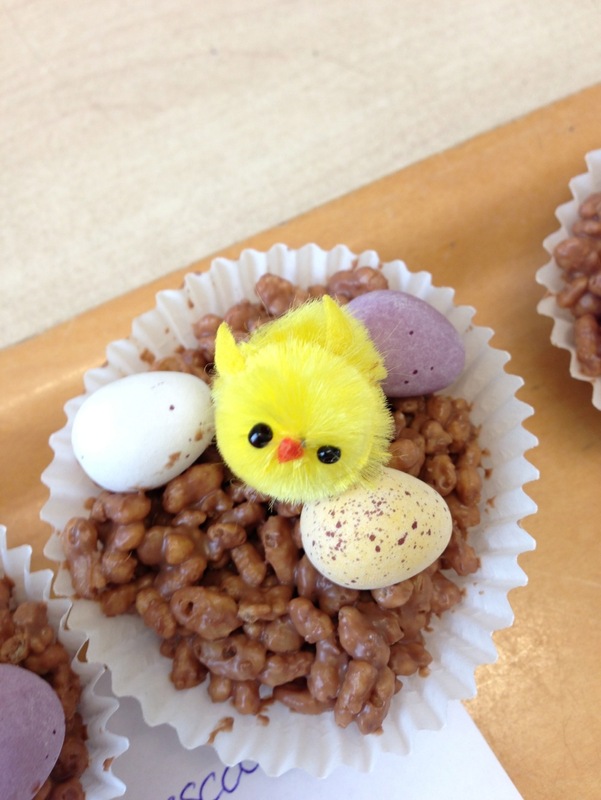 ‘Feaster your eyes’ – yes there has to be a corny title to any activity morning – was three hours full of craft, games and stories. 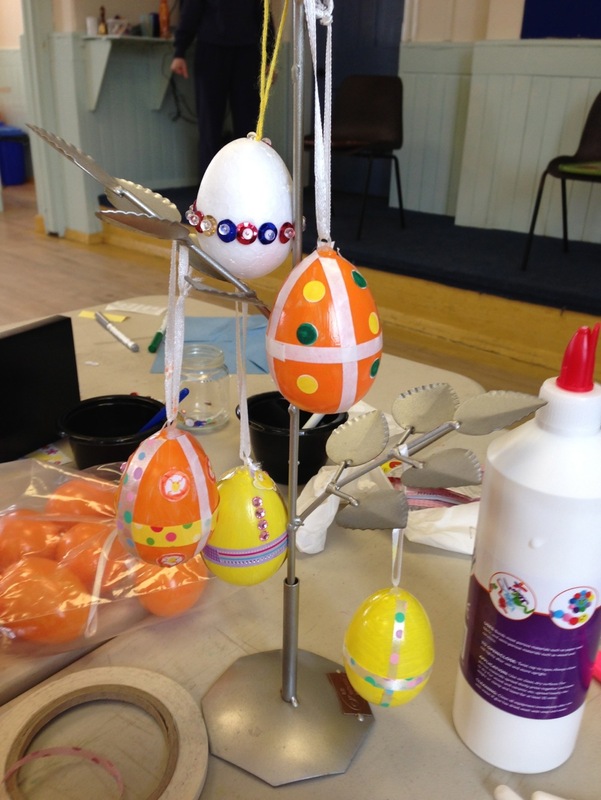 Throughout the morning, children learnt about the story of Easter from Palm Sunday through to Easter Sunday, and they were given reminders of each part to put in a box they made and decorated as part of one of the crafts. 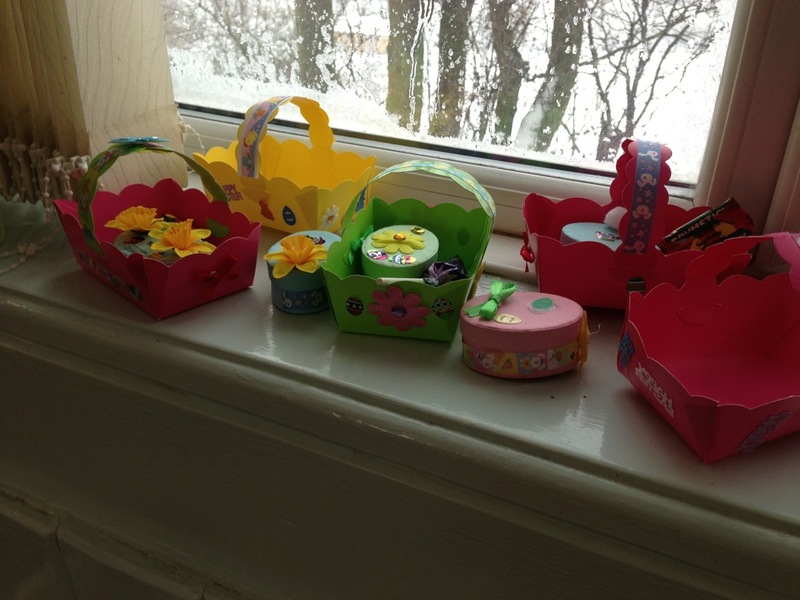 The crafts the children made were: Easter cards, a decorated egg (Faberge style), chocolate nests, a donkey mask, and an Easter basket and box. 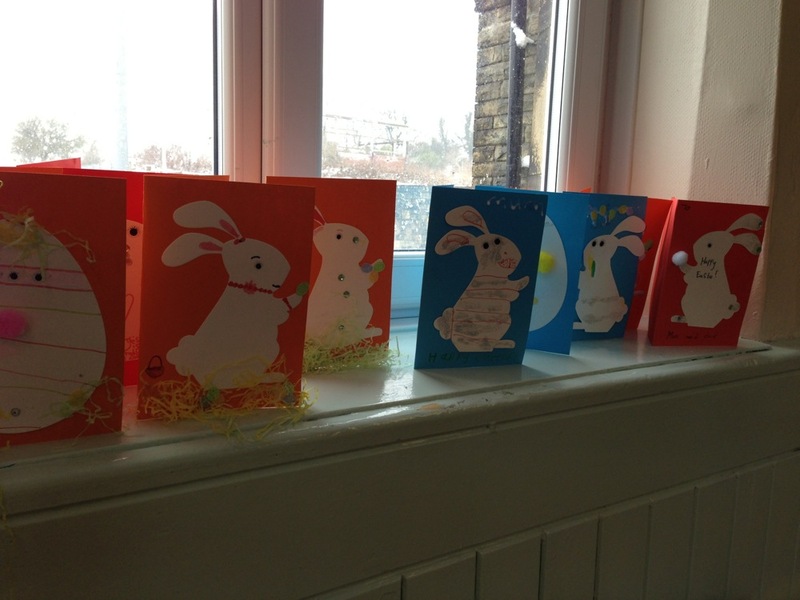 Many thanks to all the helpers who made it through the snow. We are pretty convinced after the fun and games, that a good time was had by all!